S-adenosyl-L-methionine in vegetable capsules. It provides 800mg of S-adenosylmethionine per daily dose. Alpha lipoic acid in vegetable capsules. Provides 500mg of ALA per capsule. Milk thistle extract and bamboo fiber in tablets. The best natural detoxifier for the liver. Extract of milk thistle. Hepatic regenerator. Powerful antioxidant and hepatic protector through a Glutathion reduced form. Extract of Marian Thistle rich in silymarin. Made from plants. It provides 100mg of Milk thistle and 100mg of Dandelion per daily dose. Important and essential amino acid. NAC (N-acetyl cysteine). It provides 600mg of NAC per daily dose. Reduced L-Glutathione. 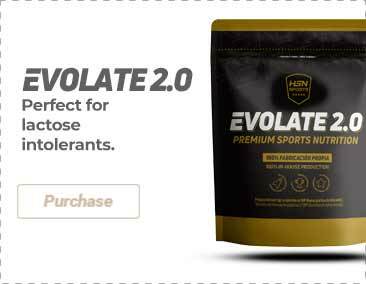 It provides 250mg of L-glutathione per serving. I am combining this product with Joint Care and a treatment for osteoarthritis and I am feeling so much better. The pain is not that bad I can even go for a walk every now and then. I have to take a lot of medicines and my liver is quite sensitive to antibiotics. This is why I have been using SAMe to heal it and I am slowly starting to feel better. I also love the fact that is suitable for vegans and vegetarians! I am on a cutting phase and I am taking supplements to enhance fat loss. This supplement is actually a good fat-burner, specially if you combine it with other products with a similar effect. I like to use it with Evoburn and it definitely works. It also has a plus as a detoxifying agent. I had some kidney problems, nothing serious, so the doctor advised me to take some choline. As soon as I saw that you had this product available I decided I had to give it a try, and it has done its job! I went back to the doctor and everything's fine, excellent results! The liver is the second biggest organ of the body and one of the most important. This is due to the fact that it works non-stop to eliminate the toxins from the human blood. Additionally, it also produces enzymes and essential hormones, and is the most important organ for fat digestion. Today, in the year 2016 we still continue with excessive eating, too much processed foods and drinking alcohol. These factors pose a threat to the proper functioning of the liver. 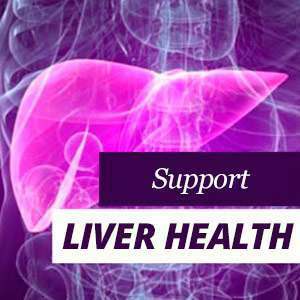 Liver protectors are natural nutritional supplements that act as antioxidants, they promote the cleansing of toxins and promote the regeneration and improved functioning of this organ. There are specific programmes for detoxifying the liver which are normally prescribed by a physician. However, when it comes to preventing or improving certain mild liver problems, you can try several natural methods and change certain life habits in order to purify this important organ and improve your overall health. A proper diet and the consumption of certain herbs and hepatic protectors, such as curcumin and thistle help promote proper liver function. How do we know that the liver is not working or is overloaded? What are the symptoms? How is this diagnosed medically? What supplements can be used as liver protectors? Approximately every individual has some 300 billion blood cells. Around 1.5 litres of blood per minute flow through the liver every day, supplying the body with all the nutrients it needs and which originate from the intestines, mainly proteins, fats and carbohydrates. It also oxygenates the blood in the arteries. The body can thereby carry out various toxin elimination processes and renew proteins, enzymes, vitamins and trace elements, and can transform all carbohydrates into energy, that are stored in the muscles, so that the body can make use of them when necessary. The liver also plays a decisive role in the metabolism of fats and cholesterol, as well as bile production. Harmful substances entering the body through food, drugs or the environment are destroyed by the liver. It is also this organ that breaks down alcohol and other foreign substances, so that they do not adversely affect the body and then ensures that they are excreted through urea and bile. In addition, liver cells have the ability to identify pathogenic elements and protect itself from them. This organ's capacity for self regeneration is very important. Protective dietary supplements are an essential aid for the body to heal and regenerate more quickly. Given that this organ has no nerves, it does not experience any pain, even if it is congested or unwell in some way. A poorly functioning liver is often not directly perceived and does not draw any attention to itself, only other factors that have been affected. The signs of liver inflammation are a yellowing of the skin and eyes. When inflammation of the liver is caused by a virus, the symptoms are mild fever, fatigue, and general discomfort. Liver infections can be diagnosed by a doctor with a blood test. If the liver damage has been caused by other factors, such as a poor diet or excessive consumption of alcohol, it may be necessary to further study and monitor the patient as well as to carry out more liver tests. Both substances can bring about the accumulation of toxins in the liver, causing it to function poorly. Clean your liver by decreasing drinks containing alcohol or caffeine. It is much better to substitute them for drinks that are free of alcohol or caffeine in order to promote the purification and regeneration of the liver and help it to function optimally. We are sure that this is not the first time that you have heard the recommendation to drink two litres of water a day, but are you sure that you do? Drinking two litres of water a day is the best way to detoxify the liver and eliminate toxins. Drink lemon juice diluted in water once a day, on an empty stomach before breakfast. Lemon juice increases the production of bile, which promotes the elimination of toxins. Lemon juice on an empty stomach is also a great remedy to prevent stones or gallstones, promotes correct digestion and liver function during the movement of gastric juices. Herbal teas such as green tea, red tea, boldo, sage, milk thistle, dandelion and burdock are very effective in promoting liver health. Fruits such as blackberries, blueberries, raspberries or strawberries enhance liver health. Red fruits are rich in substances that reduce blood glucose and help eliminate fat, decreasing the likelihood of diseases related to the accumulation of fat in the liver (fatty liver). Processed foods contain many preservatives, harmful fats and raise blood cholesterol levels, which can congest the liver and saturate it with oily waste. Reduce your consumption of fried foods, sausages and canned meat. Avoid industrial bakery products, snacks, butter and margarine and everything that may contain hydrogenated oils. Also avoid foods which may contain sweeteners, colourants or preservatives. Opt for natural foods. Vegetables are your best option for improving liver health. Beta carotene-rich vegetables stimulate liver cell production and protect it from harmful substances. Green leafy vegetables, such as spinach or arugula, promote cell growth and proper liver function, while sugar beet, for example, protects bile ducts from the damage caused by toxins. When we are stressed, we release hormones and endorphins into the bloodstream, which in turn deposit toxins in the liver, thereby slowing it down. Meditation or yoga are activities that can help to reduce stress in your life. Home cleaning products typically contain a lot of chemicals and the liver must therefore make double the effort to maintain its health. It reduces your exposure to chemicals by using home cleaning products based on natural ingredients. Vinegar, lemon, tea tree oil or baking soda can be used to clean your home. The more toxins circulating through the air, the more toxins that your liver must expel from your body. An air purifier is a great way to improve your health, especially if you live in a city or by a busy road. Sport helps you to maintain a more optimum weight, which decreases the risk of diseases linked to the accumulation of fat in the liver. Sport also improves the functioning of liver enzymes. There are many food supplements that promote liver health, such as thistle, boldo, glutathione and curcumin. Dandelion: dandelion root helps detoxify the liver, reduces the negative effects of medications and reduces inflammation. Glutathione: Glutathione is a powerful antioxidant that acts as liver protector. 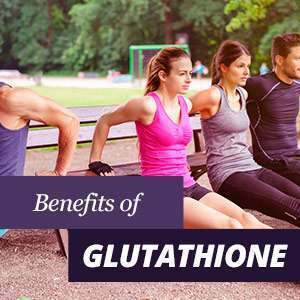 Glutathione promotes the elimination of heavy metals and harmful substances. 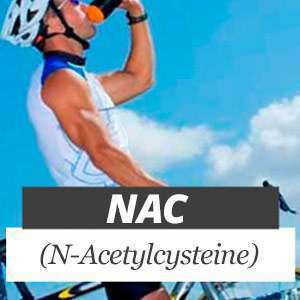 NAC: N-acetylcysteine is a derivative of the amino acid L-cysteine. It helps compensate for oxidative stress, reduces inflammation and improves the capacity of the liver for detoxification. 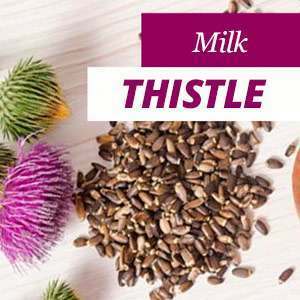 Milk thistle: Milk thistle is rich in antioxidants, such as silymarin, which helps to protect the liver from toxins and contaminants as well as encouraging its regeneration. 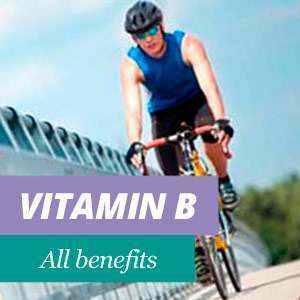 B group vitamins: Vitamin B1 or thiamine, B6 or pyridoxine and B12 or cyanocobalamin, are fundamental in maintaining liver health. Soy lecithin: Mobilises fat accumulated in the liver and reduces cholesterol levels. It prevents the production of stones or gallstones. 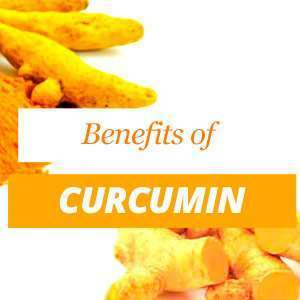 Curcumin: Curcumin is a powerful hepatic protector, used as a natural remedy in Asia for centuries. It is a bile tonic and aids in the elimination of stones in the gallbladder. It has also anti-inflammatory effect. Artichoke: Helps to improve the metabolism of fats. Curcumin benefits all body organs and prevent inflammation at a cellular level. In the last years it has attracted a lot of attention from medical experts, due to its antiviral, antibacterial, anti-inflammatory and antifungal properties, it is a great ally for liver health. Curcumin can also help to reduce cholesterol. It provides a strong cardiovascular protection and can help fight other diseases like cancer and neurodegenerative diseases like Alzheimer and Parkinson. Curcumin also seems to be very promising regarding multiple sclerosis treatments and protecting against cataracts and repairing some damages caused by high blood sugar levels in diabetics. Vitamins belonging to the B group vitamins are water-soluble, so they can be quickly assimilated. However the excess is expelled in the urine, so we must therefore eat a daily minimum amount to avoid a deficiency. Vitamin B increases energy, helps the muscle function, helps keep our immune and cardiovascular systems healthy and is essential for strong hair and healthy and beautiful skin. The liver is a very resistent organ and has the extraordinary ability of regenerating itself and operating even when it is damaged. However, when the liver is overloaded and is forced to eliminate too many toxins, such as those that we ingest through food, water, drugs, alcohol, or that are in the air, permanent damage may be suffered. Milk thistle seeds have been used for more than two thousand years in traditional medicine to treat liver disease, since it has properties that help the functioning of the liver and in its regeneration. The milk thistle is one of the most studied medicinal plants in regards to the liver and heart, as well as for treating diabetes and cholesterol symptoms. Glutathione is considered the major antioxidant in the human body, working to reduce the amount of free radicals that are located in our organism. For this reason, it is associated to anti-carcinogenic properties, as well as for liver support and promoting a better immune system, as it increases lymphocyte and natural killer (NK) levels. 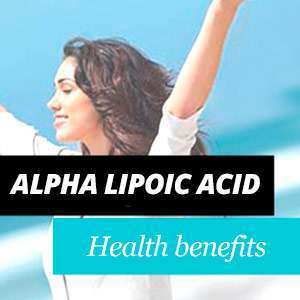 Lipoic acid is a sulfur-containing fatty acid. It can be found in many foods, such as spinach, broccoli or yeast extract. It is present In the human body primarily in the kidneys, heart and liver. Although this substance is naturally present in the foods that we normally eat, such as vegetables and meat, its content is very small. Lipoic acid is essential for the proper functioning of the organs since it helps the mitochondria of the cell metabolism. The antioxidant activity of alpha lipoic acid protects the brain and other sensitive organs from damage. NAC also neutralizes toxins and environmental pollutants including heavy metals that accumulate in the liver, kidneys and brain. Another property of NAC is that it promotes respiratory health, since it makes mucous become more diluted. Acetylcysteine can be used to treat lung diseases as it thins the mucous, promoting a better functioning of the lungs. After diluting the mucous it can easily be dissolved and excreted. Acetylcysteine is a precursor of the antioxidant glutathione. Acetylcysteine reduces the effects of free radicals and oxidative stress.